The Hercules DJ Control Compact is compact by name and by nature and is ideal for anyone who wants to make mixes on the go but doesn't want to carry around (or risk damaging) an expensive and heavy controller. This fantastic little device has the basic functions that you need, including two jogwheels, eight pads (four per deck plus a shift command button that will double their function), a crossfader and a total of 10 different control buttons. The Hercules DJ Control Compact is small, fun and perfect for playing without the pressure of making a fully fledged mix. The ultra-mobile DJControl Compact controller puts the essentials of mixing right at your fingertips. Compact, complete and charismatic, its the must-have on the go mixing companion. Take it with you wherever you go to get started in the world of mixing, hone your skills, prepare your mixes and throw great parties anytime with your friends. Ultra-lightweight and compact, you can take it with you wherever you go in your backpack or laptop shoulder bag, for example. Mix at your friends places or when youre away on vacation. 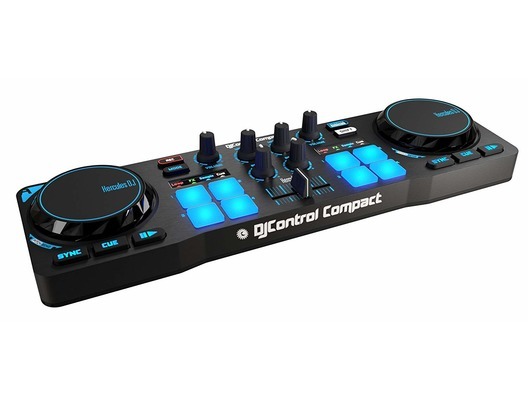 Small but powerful, equipped with a ton of essential features (2 jog wheels, 4 pads per deck), DJControl Compact is perfect for getting started in the world of DJing. Learn how to mix your favourite tracks with no pressure. Scratch naturally and without any latency thanks to the jog wheels, which also control the pitch and navigation within tracks. Perfect your sound with Cue mode, samples, loops and effects buttons. Highly-intuitive features for creating loops, adding effects and playing samples, thanks to the unrivalled feel of the 8 large, backlit pads! 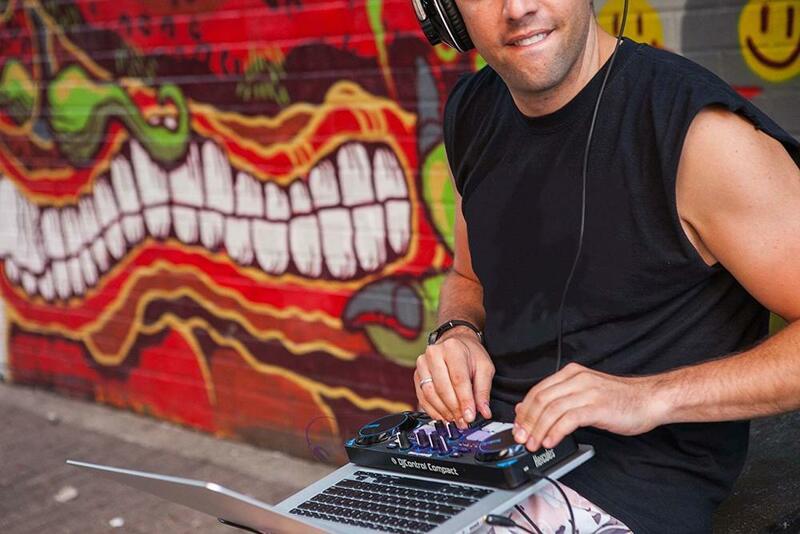 Full version of the DJUCED 18 DJ software included. 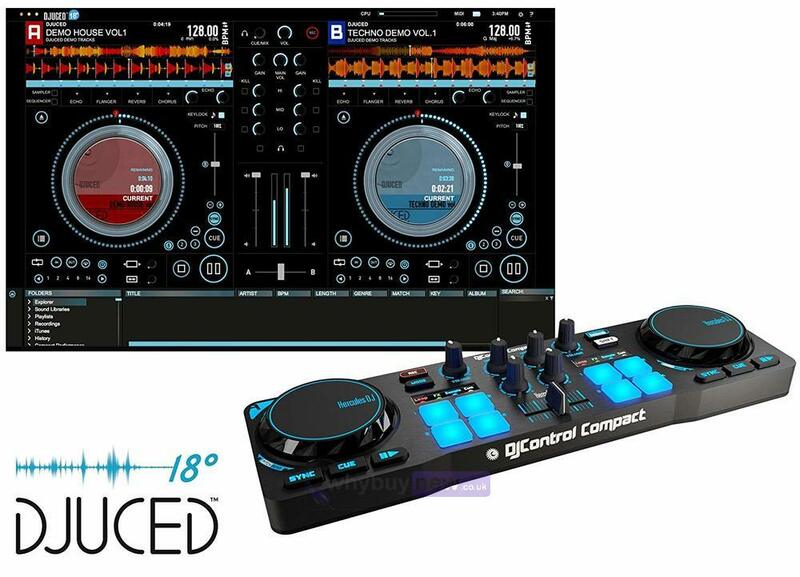 Compatible with the most popular DJ software (Traktor, VirtualDJ) and with all MIDI-compatible software.